Book now for Emergency First Aid (Level 3 RQF) Colchester. This is the extremely popular 1 day first aid training course that is suitable for staff working in a lower risk workplace or a workplace that requires a large number of first-aiders to be trained. 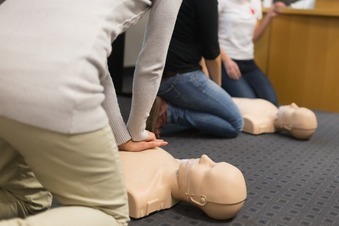 This first aid training course is a regulated qualification delivered by Meducate Training Ltd and accredited through the Qualsafe Awards who are in turn are an OFQUAL approved organisation. On successful completion of this first aid training course delegates will receive a nationally recognised qualification valid for 3 years. This course is a regulated RQF qualification.